In simple words, video marketing is the marketing in which you use video to promote or market your brand, product or service; it could be anything customer testimonials, videos from live events, how-to videos, explainer videos, corporate training videos and so on. A strong marketing campaign incorporates video into the mix. A weeks ago, we published an article on why online video marketing is so important for your business in which we talked about how it can evoke several feelings in the audiences, what are the stats related with it, what are its most common formats and so on. We even talked about some ultimate tips to enhance your video marketing if it is YouTube in one of our articles. In this article we are going to talk about how video marketing can benefit your business. 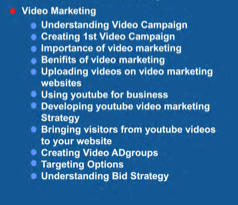 So, let’s ahead and go through the benefits of video marketing one by one! • YouTube alone has more than 4 billion views per day, and it’s the second-largest search engine, right after Google. • 78 percent of people watch at least once a week and 55 percent watch every day. The stats say video is where your customers spend their time. So, be there! Make ads, promos, funny viral videos, Web series, branded entertainment, video blogs, videos of your pets, videos educating people on daily issues or just anything that can grip your customers , use any style and format that best reaches your them. Marketers are already using video to their advantage and boosting their branding and sales. This is also known as “the cold war approach.” Scare them with the knowledge that their most hated archrivals are escalating their video marketing programs and are way ahead of them. Convince them that they need to get with the program and escalate quickly before it’s too late. Every one of us is aware with how consumers look for product and services online and that online search happens to be one of the top ways for doing it. At least by now all of us know how social media affects organic Google search results as well as acts as an entry point to the websites, microsites, or promo pages. Everything is searchable now whether they are photos, graphics, updates on social media or just anything. YouTube is the second-largest search engine, which means that videos get ranked high in Google results. • More than 700 YouTube videos are shared on Twitter every minute. Video is shared easily and frequently as it happens to be a huge part of social media, which has become a integral part of our lives. In turn, it has made things easier now, because now you can get your product or service message out there in a fun and share-able way by sharing videos on social media. It’s a fact that our brains respond more effectively to communication which combine visual and audio both and that’s what videos are. They actually make viewers to laugh, cry, get mad, learn, and take action than photos, text, or audio can make. Using these great storytellers will help you keep consumers glued to your site. Certainly, you will get to learn more about your consumers if they will comments on your updates, posts etc. Do you know why video marketing allows for real-time feedback and interaction? Because people love commenting on videos! Comments and response videos help you redirect your energy based on their feedback and needs. Besides, people find commenting on videos interesting as they get a chance to get mentioned by name in the next video. I mean some people use this trick to better leverage this platform so do it! In this era of online marketing, measurability has not a remained a big deal as you can easily access analytics that tell you how successful your videos are. So, you don’t need to rely on guess work. Analytics can help you determine which videos and surrounding social media activities are leading to increased sales and moving your marketing in the right direction. Something that needs not an explanation is one can’t buy anything then and there after watching an ad on TV but in case of video they can. If you set it up and execute your videos well, your consumers should never be more than a click away from the prospect to buy the product or service you are selling. Hence, go ahead and create all such situation that would encourage instant gratification, put direct links in video descriptions, banners, surrounding text or overlays that will make the viewers to click directly on the video. Its true they entertain and are meant to entertain but they way they can drive people crazy at times, they possess a great potential to market just anything and everything! Yes! 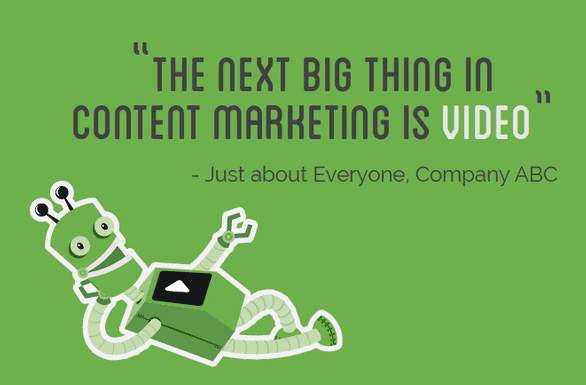 Video if executed well can be a conversion machines for businesses. Just make sure that the video plans and the surrounding activities should revolve around clear objectives and calls to action, to create an environment where consumers can feel the need for the product and know what they’re supposed to buy, making a purchase eventually. With the advent of smartphones, things have become more favorable for marketers, as consumers find it easy to carry this device with them while they are on their go and with that they also find videos to be more helpful than any other medium. So, video marketing actually is a win-win for both the marketers and the consumer and this fact has made it to thrive even more. Let’s conclude with the saying “a picture is worth a 1,000 words” and when it comes with the sound it’s worth millions for your company! Hence, think wiser, act smarter and Go ahead and make videos a part of your Internet marketing strategy before it becomes tough to catch up the competition, forget about surpassing it. What DSIM covers in Video Marketing? At DSIM, you get to cover the in and out of video marketing starting from introduction to the process of understanding video campaigns, creating them, uploading them on video marketing websites and much more. By the end of the module, you are not only able to create a video that boost sales and generates revenue but also know how to create video ad groups, target the right audience and understand the big strategy. This is just a gist of what you will learn @DSIM, for the detailed course curriculum, you can always download it on DSIM’s website or simply click here!